The Duquesa Charitable Society of Saint George was pleased to recently present a cheque for the sum of 1,156 euros to AFIMA, Manilva’s Fibromyalgia Association. 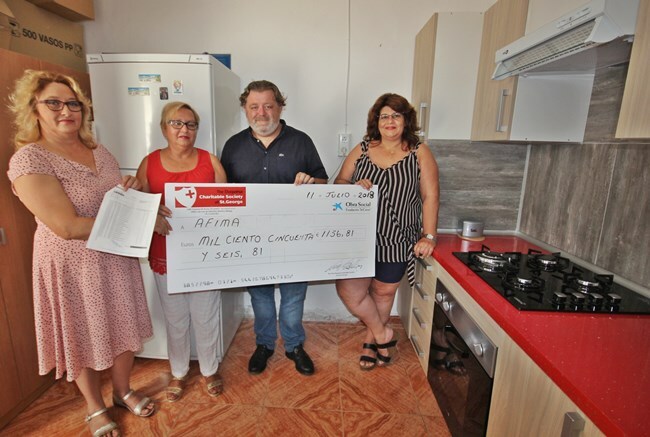 The monies were for the provision and installation of a new kitchen at the charity’s headquarters and charity shop in Manilva. The Saint George Charity is pleased to support other charities as part of its commitment to the local community.